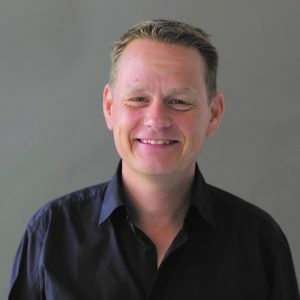 Brand-guru and inspirational speaker Martin Lindstrom is a world-leading expert on branding and transforming your business. His popular keynotes are thought-provoking while being practical and straight-forward. As a leading branding guru, most people have heard his name before. 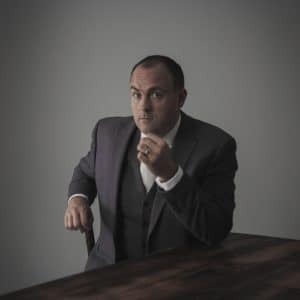 He’s written several bestsellers and for the last six years, Thinkers50 has had him listed as one of the world’s top business thinkers. Martin uses cutting-edge research and his approach has completely reshaped branding and business as we know it. He has helped several large or small businesses understand the secret to entrepreneurial success and a strong brand. As a speaker Martin Lindstrom is energetic, engaging and very professional. He’s presented in front of some of the world’s biggest brands, and his keynotes are always up-to-date with the latest challenges of today’s ever-changing world. Keynote speaker Martin Lindstrom specialises in business transformation, marketing and branding. His bestselling books include “Buyology”, “Brand Sense” and his newest “Small Data”. Martin has been praised for his unique approach to branding and transforming businesses. He is constantly trying to discover more secrets to creating powerful brands and his undeniable curiosity has taken him around the world. 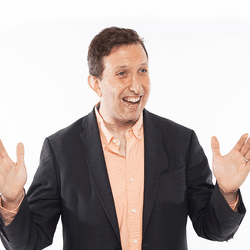 Martin has dedicated his life to bridge the gap between brands and consumers. Very few people are as educated as him on the topic, and he has shared his valuable insights with some of the biggest corporations in the world including Mercedes-Benz, Microsoft, Disney, Pepsi, Kellogg’s, McDonald’s and many more. Whether it’s for his own research or for consulting leading brands, you’ll find that few have spent as many years living, shopping and dreaming with consumers, in as many different countries, across as many religions and cultures as our speaker Martin Lindstrom. His keynotes are a true eye-opener and provide practical tools and strategies to ensure future success for your brand. It’s no secret that strategy eats culture for breakfast. We get overwhelmed with statistics, data and emails but we don’t realize that the culture is suffering. In this entertaining keynote, speaker Martin Lindstrom presents insights into some of the world’s leading brands and their secrets to building strong cultures. Martin and his team have helped several companies with culture building and his unique methods truly work. Multiple organizations have seen results, and now it’s your turn. You will learn what exactly it takes to create a strong culture and attract top talent as well as practical tools and steps you can make towards a powerful culture. Martin also covers the typical misunderstanding that ruin 9 out of 10 culture building projects. In this talk, Martin presents extensive research into some of the biggest business transformations over the years. Martin shares unique insights and behind-the-scenes that will open your eyes and make you realize the importance of change and long-term goals. Business speaker Martin Lindstrom has overseen multiple business transformations in almost every industry. His approach is completely unique and his methods have been proven to work in all occasions. The audience will leave this talk feeling refreshed and excited for what’s to come – with the right tools in their hands. You will learn how to implement change in your organization and how to motivate your team to, sometimes, go in a different direction. In this thought-provoking keynote, Martin covers everything you need to know about the future customer experience. Martin shares research and first-hand recordings of customer interaction for some of the most famous brands in the world. This talk will make you think and reflect about the way you interact with your customers. It will open your eyes to new strategies and innovative thinking. You will learn how small steps can make a massive difference for the customer as well as the very best practices from different industries. You will leave this talk, knowing exactly what to say and do at your next customer encounter. What does the future of retail look like? Is eCommerce the only answer? Those are the questions Martin will answer during this engaging talk. This talk is based on thorough global consumer research from more than 70 countries and presents the most possible future of retail. Martin knows his game and he has helped several businesses reach global success, even after some serious challenges. This talk covers practical and hands-on advice and strategies that you can implement right away. You will learn how to identify your customers’ needs and translate them into action. Martin also presents the latest trends in retail around the world and a roadmap to turn your store into a success – again. These days, instead of keeping in touch with consumers, leaders rely on BIG Data — reports, databases, and statistics in order to understand the target group and consumer. In this talk, speaker Martin Lindstrom introduces a new method to understanding the consumer: Small Data. Martin shares the secret to success for several large companies including LEGO. You will learn why some of the most successful companies swear to Small Data and how you can implement a Small Data approach right away. Can I define your brand using one word?